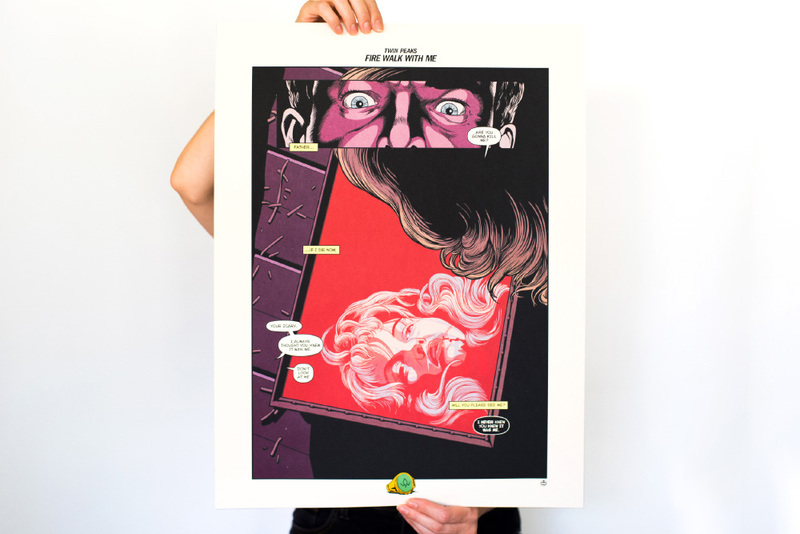 Spoke Art and I are back at it again with another Twin Peaks print, this time for the highly underrated movie Fire Walk With Me. This was exclusive to the Spoke Art New York Comic-Con booth this past weekend, but you are now able to get the remaining prints online! 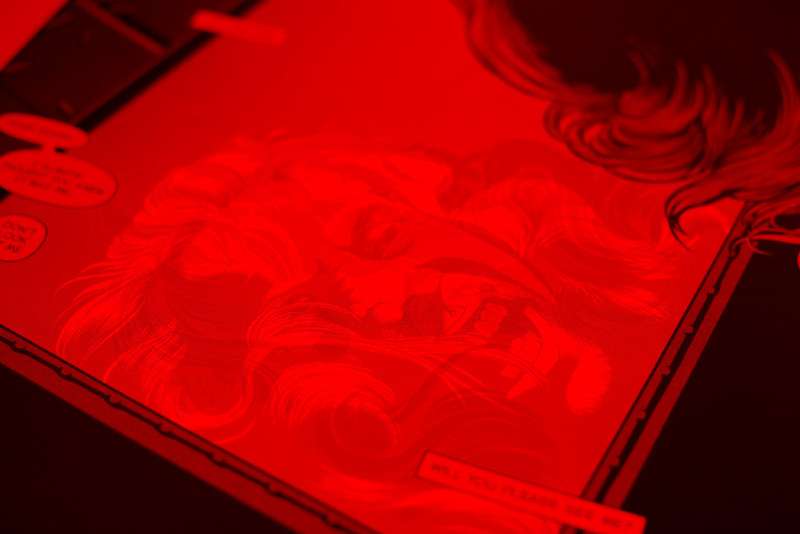 Following the same themes of duality, reflections and evil, we once again have the same secret decoder reveal feature as the past two Twin Peaks prints had. Spoiler Alert! Click the image to reveal the secret identity of Bob. I remember the first time I watched Fire Walk With Me, I remember hating it. I just wanted more of the same show, more Cooper, more of the quirky town. Instead, we got a darker, meaner look at the world of Twin Peaks. I must have forgotten, while watching the show, that it was all about a murdered prom queen. After I shook all of that off, and watched a bunch of other David Lynch movies, I watched it for a second time and began to really appreciate this movie. It’s not only as a great Twin Peaks movie, but it is a great movie in general. 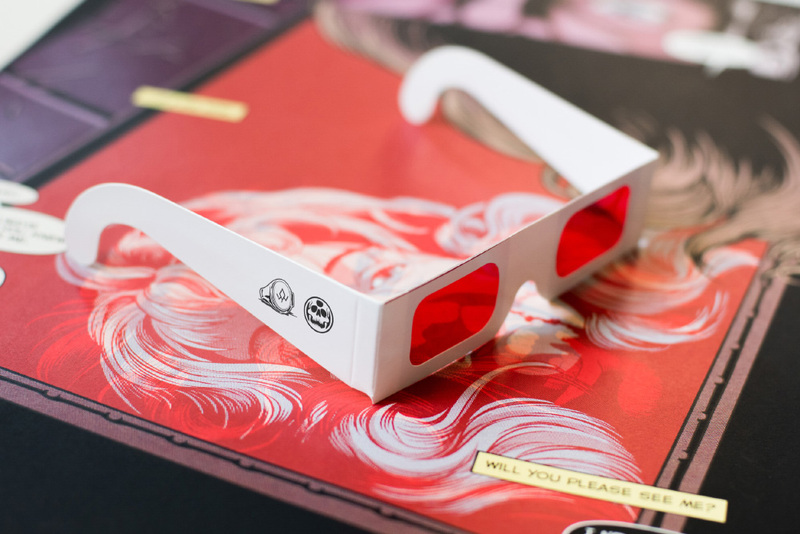 You will also get a pair of custom secret decoder glasses. One one side we have the Black Lodge Ring and my logo, and on the other side is the Fire Walk With Me title logo. 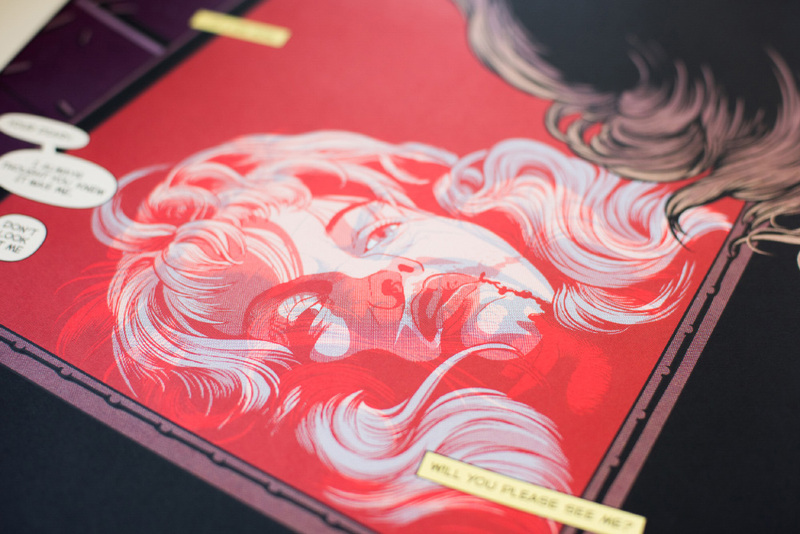 You can grab a print right now, as of writing this there aren’t that many left.